The playlist is arguably one of the most important parts of any event. So, as South Africans prep for summer, thinking about your party playlist, and making sure the most popular mood songs are on it, are essential to ensuring an awesome party vibe. Hiring a DJ is not only costly, but it can also end in disaster as soon as the DJ stops ‘reading the room’ and starts spinning those golden oldies that lost their sheen decades ago. Avoid the awkward silences, beats that fall flat and set your own vibe with Spotify’s handy tips below on how to get your guests moving to the best summer tunes. The many viral dance challenges that have taken the music scene by storm over the past year also make the best icebreakers. There is no way you won’t get your guests moving to Drake’s In My Feelings with everyone yelling, “Kiki do you love me…!” at the top of their lungs. 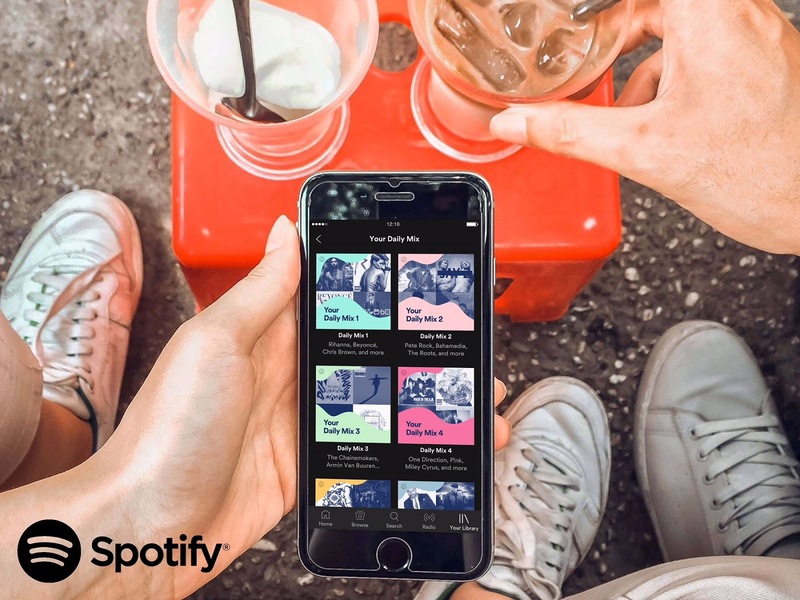 If you’d like to add some local flair to your playlist, Spotify recommends some of the top South African house, hip-hop, and pop artists. The most-streamed SA artists since launch, broken down by streams in South Africa and the rest of the world, are Nasty C, AKA and Jeremy Loops as the top three artists, respectively. Local favorites, Shekhinah, DJ Maphorisa, Lady Zamar, Black Coffee and Distruction Boyz also made an appearance on the top 20 list. Now that you have an idea of where to start when creating your playlist all you have to do is sign up to Spotify, for free, at spotify.com. Once you’ve completed the first step below, you’re well on your way to a great party with nothing but the best songs to keep it going. Let’s get started! Whether your event is a small relaxed affair or a highly polished event, your choice of music will have the largest impact on the overall mood of the event and guests. Knowing what your guests will like and the type of atmosphere you want to create is essential for striking the perfect musical balance. Get your guests involved right from the beginning by having them RSVP with their top three favorite tracks and add these to the playlist. This way everyone will have a moment at the event when their song comes on. You can achieve this by creating a collaborative playlist. To create a collaborative playlist: Click the ‘more button’ (…) and select a collaborative playlist – make sure there is a tick next to it. You have the option to share your playlist as a link, which you could include in your e-invite, or use on your favorite social media platform. Everyone loves making a special request, so when that time of the evening comes and some other tracks spring to mind, or the evening takes a nostalgic turn, why not give your guests access to a tablet or two. They can then browse the song they want to hear and add it to the collaborative playlist you created as part of the RSVP process. Personalize your playlist by uploading a picture of your event invitation as well as adding important information about it in the description box. This guarantees that your guests don’t end up on the wrong playlist – in case there is another one that is similarly named. Best of all the party playlist lives on - you can add the link to the thank you emails or pass onto guests after the event as a memory of an incredible occasion. Download the Spotify app via the Android or iOS app store or by heading to www.spotify.com - to embed Spotify into a website - right click on any playlist, go to 'share' and copy the embed code. Contact me at thelifesway@gmail.com to collaborate on your products, events, and services. #TheLifesWay #PhotoYatra!